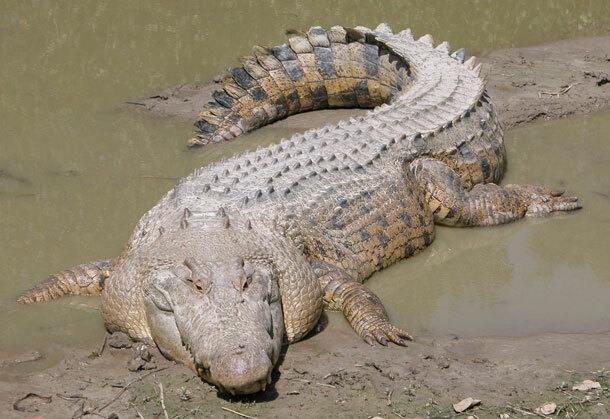 Saltwater crocodiles are the largest living reptiles on earth. They are from Crocodylidae family and they are also known as Crocodylus Porosus by scientific name. 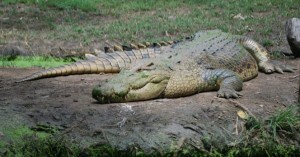 Besides they also go by many other names such as Baya, Subwater Crocodile, Kone Huala, and Rawing crocodile. They are considered as one of the most dangerous reptiles not only for birds, and animals, but also for the humans. Most typical behavior is that they wait and slowly reach to their prey and suddenly grabs them in a lightning speed. Distribution: They are distributed across many regions of Northern Australia. Habitat: They are largely found around the mangrove areas near river. They are majorly found in the swamps and rivers. In either case, they maintain their body temperature between 30-32 degrees. Diet: These reptiles are one of the most opportunistic lots of crocodiles attacks everyone who enters their territories including humans. They consume insects, birds, animals, Amphibians and any other species that enters their boundaries. Khao Kheow Open Zoo exhibits varieties of birds, animals and reptiles. This is your chance to see frightful Saltwater Crocodiles in one of the best zoo of Bangkok.